I would like to enquire about Australian Brahman Breeders Association Ltd.
Australian Brahman Breeders Association provides comprehensive information on genetics of Australian Brahmans breed of cattle. This company focuses on providing a diverse range of services that enable to enlighten information on Australian Brahman cattle breed. These services include registration, promotion and advertising, administration and representation, communication, marketing, performance recording, technical support as well as research and development services. Australian Brahman Breeders Association ensures to provide effective as well as reliable services to the clients. This company also aims to maximise the usage of Australian Brahman cattle breed by providing comprehensive information on its genetics. 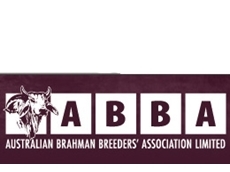 Australian Brahman Breeders Association consists of Brahman Graphics division. This division has been specifically developed for providing promotion as well as advertising solutions for various Brahman breeders. Brahman Graphics division offers different solutions that include advertisements, banners, business cards, marquees, websites and homestead signs. These solutions are available at cost effective rates. Various services offered by Australian Brahman Breeders Association comply with industry standards. Different types of Australian Brahman cattle breed include Apis Creek Brahmans, Aquarius Park Brahmans, Barkly Brahmans, Batandra Brahmans, Bizzy Brahmans, Blue Dog Brahmans, Elmo Brahmans and many others.